Giant stone is furniture decoration made from best quality Teak wood and carved by talented craftsman. This wooden decoration product has adopted from the beautiful of Indonesia natural stone which often found at rivers in Indonesia and called as 'Batu Alam'. To apply it into wooden stone, the craftsman must carved it carefully to get same design as the real natural stone. 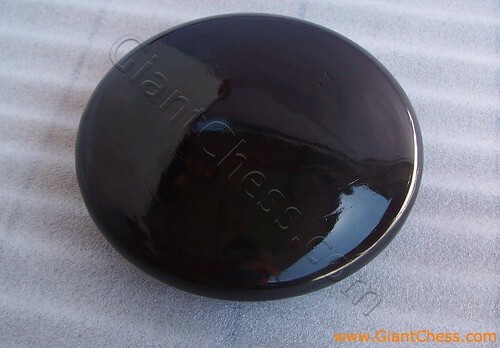 So that, at the end, they polish the wooden stone into black color with glossy look. It so perfect as wooden stone decoration. For house decoration, you can put it on your living room table, library, dinning room, children room, office and many more. It designed in giant size in order to make it suit with house decoration. Otherwise, this wooden stone decoration also present in other colors, such as; natural brown, yellow, blue, and many more.